On Twitter, where these things always seem to happen, a follower lashed out at 50 Cent (kind of tongue in cheek-like), insisting that he release his album early. In an attempt to by funny, 50 Cent tweeted back something that put the entire autism community into battle stations. And I say, thank you. First, let me show you what he said. These tweets have been removed from his stream but he has yet, at the time of this writing, to apologize. At first, I was a bit upset but mostly disappointed. I am not exactly his biggest fan although I do like his songs that I hear on the radio. Nor am I well versed in his life but I have heard that he’s more intelligent than most would give him credit for and that he is quite the philanthropist. Both of these things greatly contradict his remarks and would have me questioning if what I had heard was true. Still though, I took to Twitter myself and Facebook and Google+ and shared what he had said. I tacked on “Not cool man. Not cool.” to show my disapproval but reserved any emotional response for later… after I had time to think about it. Probably the best response and the one that is making it’s rounds around the Hollywood and news media scene is the open letter from Holly R. Peete, the celebrity mother of an autistic child. Her tweet, with the link to her response, has over 1000 retweets and that’s not counting all of the other people that have tweeted the link. My own tweet to it has dozens of retweets as well. I can honestly say that I’ve never seen that before. It is amazing! So why is it that I am saying thank you to a guy that said something so hurtful? Why am I saying thank you when so many people are so mad that they wish they could meet him face to face to yell at him in person for what he said? Well, for two reasons really. Number 1 is that he, and others like him who do these things, are able to unite the autism community, even if for just a moment. All parents, experts, educators, autistics and everyone else associated with the community all felt the same thing at the same time. And as improbable as it seems sometimes, the entire community actually is all saying the same thing… shame on you 50 Cent. We’re all mad. We’re all waiting for an apology. We’re all disgusted for the same reason. Oh, it’s ugly, but it’s unity. I’d rather it could come under different circumstances but there it is. Number 2 is that it shows us just how much work we really have left to do. If raising awareness was step 1, then we’re only now tipping our toes into step 2… and there’s still 8 more steps to go. The world has become so familiar with autism that it’s now a commonplace enough word to sling around carelessly, just as the r-word has been in the past. And that’s being beaten back, thanks to a lot of hard work from a lot of great people. But it’s hard work all the same. If celebrity philanthropists can sling around “autistic” as an insult, in an attempt to be funny, then hard work is quite the understatement. But it does mean that people are aware. Now we have to inform. And despite the lack of apology… I think the backlash and recent media attention (thanks to Holly R. Peete’s great response) is a great step forward towards informing people. A lot of people are reading and watching and listening to that media. People who knew less about autism than 50 Cent apparently did. And they’re getting an ear full. I don’t condone what he said. I don’t like what he said. But it was said and I was mad, for a moment. Still though, it’s an eye opener. A rude one but an eye opener. And despite the very negative beginning, I think this little episode is actually doing a lot of good. With a united community and with great people like Holly R. Peete standing up to those who make statements like that, we’re well on our way to ensuring that these little episodes don’t happen again. Or at the very least, rarely. And I welcome that. A lot of people just found out how very wrong it is to try to use “autistic” as an insult… whether they’re just trying to be funny or not. That makes me smile. The entire autism community, for a moment, makes me smile. I really hope he apologizes. That would really put a great little wrap up on this whole ordeal. yeah. . . it sort of polarized twitter at the very least. G’s up, hoez down, yo. No fooling. 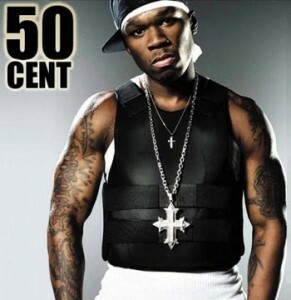 I hope 50 cent does appologize. He used autistic the same way the n word has been used in the past. (Sorry I don’t know what the r word is.) However, 50 cent in his way bought awareness to the disorder, and believe me the world is still running short on that. The ‘r’ word is ‘retard’. I see no point in censoring it since the topic’s been brought up for discussion.